The ARTICLE ARCHIVE is the place where you can find all important news articles from the past that were once posted on main news home page. Please read through to review the history and past information to learn about our club. More archives can be found under our ALUMNI link. CHARLESTON, S.C. (April 4, 2019) – The National Premier Leagues (NPL) is strengthening next season, particularly in the New York Metropolitan area, with the addition of the Alliance Soccer League to the national landscape and the expansion of the New York Club Soccer League’s (NYCSL) NPL Division. The Alliance Soccer League’s inaugural season, which begins this fall, will be as a member of the NPL. The national network of top leagues around the country has officially welcomed the growing, New Jersey-based league as the 21st member of the NPL. The Alliance Soccer League is club-based and player-focused, bringing an innovative approach to the state’s competitive landscape. Boys clubs in 8-U through 19-U age groups comprise the league in its opening campaign and the 14-U and older champions will qualify to the Elite National Premier League (ENPL) postseason. "The Alliance Soccer League welcomes the opportunity to compete on the field and collaborate off the field with our fellow member NPL Leagues and Clubs,” added Alliance Soccer League Director Sean Carey. “Our competitive platforms will offer both boys and girls players, teams and clubs pathways to the appropriate levels of competition to develop and grow as players and people. 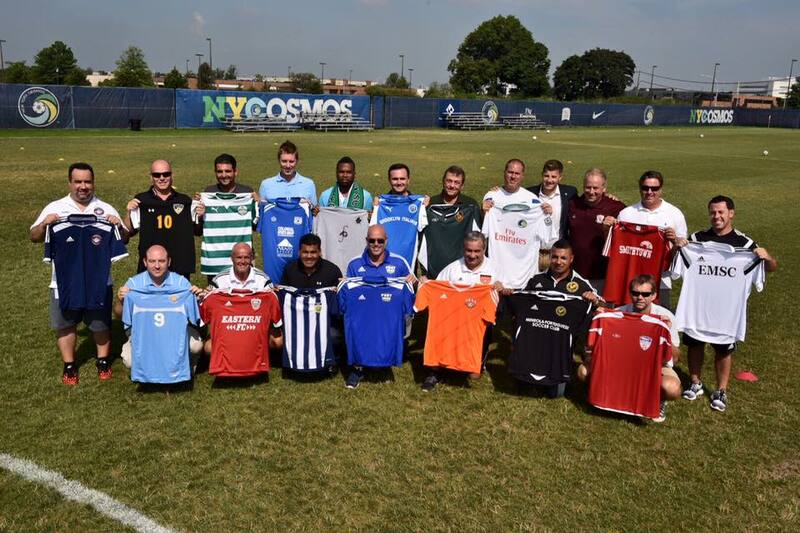 Interacting with many of the Northeast's top clubs and Directors of Coaching will benefit everyone competing under the Alliance Soccer League's umbrella. We look forward to embracing the many resources available to our parents and families within the US Club Soccer ecosystem while adding real competitive value to the NPL and ENPL National platform." Alliance Soccer League member clubs will be announced shortly. The league will also feature a team-based second division of NPL competition for boys, while Girls NPL competition will be established for next year’s 2020-21 season. Clubs or teams interested in participating in either boys division, or next season’s girls platform should contact Mike Gould at . For more information about the Alliance Soccer League, contact Sean Carey at . The NYCSL-NPL Division will strengthen next season with the addition of AC Connecticut as a new boys member for the 2019-20 season. Concurrently, Eastern FC is set to field teams in all boys age groups. This season’s NYCSL-NPL Division boys member clubs are listed on the NYCSL website here. Beginning in Fall 2019, the league will offer team-based NPL Divisions, initially comprised of NY Cup winners and NYCSL Premier League champions. Additional teams are selected via invitation only. The NYCSL-NPL Division is both a formidable member of the ENPL and a perennial contender at the annual Girls NPL Finals. In the course of an impressive stretch, an NYCSL Girls NPL Division member has claimed an NPL national title at each of the past four NPL Finals, including SUSA bringing home the Girls 15-U trophy last summer. The NYCSL Girls NPL Division will look to continue this championship run, while increasing standards in the 2019-20 season. Teams interested in joining the NYCSL Girls NPL Division should contact Mike Gould at . ﻿Anchored by Players First and its five pillars of Club Development, Coaching Development, Player Development, Parent Engagement & Education and Player Health & Safety, US Club Soccer offers registration, league- and cup-based competition platforms, player identification and a variety of other programming, resources and services. HAPPY HOLIDAYS AND HAPPY NEW YEAR FROM THE ENTIRE EFC FAMILY! Happy Holidays and a Happy New Year to the entire Eastern FC Family. 2018 was an incredible year for us all and we have so much to be proud of. Below are a few highlights from 2018. We look forward to an even better 2019! Orthopedic & Neurosurgery Specialists (ONS) and Eastern FC Partner together to ensure all of our athletes are provided with excellent medical care both on and off the field. Eastern Football Club is proud to announce a new addition to our Medical Team that will provide excellent orthopedic and spine care for our athletes and families. ONS will join our strong medical team currently made up of Professional PT, Dr. Richard Weinstein and Dr. Berdj Stepanian. The Safety and care of our Eastern FC Family members has always been at the forefront of what we do and is paramount to the development and success of our soccer players. We are excited and enthusiastic about partnering with ONS. After meeting with Dr. Marc S. Kowalsky, we recognized the opportunities and synergies that exist between both organizations. We are excited to create an environment for exceptional care for all our athletes. ONS is now Eastern Football Clubs Official Orthopedic Practice of choice. ONS has 26 sub-specialty training physicians in Sports Medicine, Orthopedics, Neurosurgery and Spine has state-of-the-art physical therapy facilities and digital x-ray on site. Specialties in Sports Medicine, Orthopedics, Neurosurgery and Spine are only a few of the many services ONS provides. For the Eastern FC athlete ONS will be there when we have sprains, breaks, concussions, and any other musculoskeletal ailment. They offer same day appointments at all locations and have after-hours walk in urgent ortho care at their Greenwich office. ONS is in network with all major insurances. Our coaching staff will take advantage of the Ortho Access program where each coach will be provided with a direct line to a 24/7 on call ONS Sports Medicine physician in case of emergency situations on the field. ONS and their doctors are well known in our community at the Professional, College, and High School levels. They provide seminars on various health topics. Eastern FC will be rolling out a yearly series of these seminars open to the entire Eastern Family. "ONS is unique because our physicians work as a team to ensure that our patients are treated by the specialist whose expertise is best suited to their individual condition. Our focus is on exceeding our patient’s expectations by providing the highest quality of care and customer service in a comfortable environment. Although we are a surgical practice, we take a conservative approach to patient care. Less than ten percent of patients with a musculoskeletal injury or condition require surgery to resolve their problem,” Dr Kowalsky said. ONS offers same day appointments after hours, walk-in urgent ortho care Monday-Friday 5-8pm and Saturday afternoons at the Greenwich office. ONS is in in network with all major insurances. The HBC Peter Renzulli Tournament is a very imporant tournament for our teams. We rapidly prepare through two weeks of rigorous training and it is our first competition together as team for the season. Most importantly, it's a team bonding experience for not only the players and coaches, but also the families. We are proud to announce that four teams won trophies. We are also proud to announce our first girls champions at Eastern FC. It has been a while since we were able to announce that, so a special congratulations to the 2008 Girls Red Sky. Overall, Eastern FC scored 86 goals, allowed 48 goals, and our overall record for the club was 15-7-6. EFC Technical Director, Beau Morki, also took the opportunity to speak to families, answer questions, and watch every team play over the weekend. He stated, "This weekend was an opportunity for everyone to spend time with their Eastern Family. We had an opportunity to play strong competition, but most importantly, learn from each other throughout. It was great seeing the new families and returning families showing their positive support on the sidelines. We look forward to the development as we continue to work together all season. It's going to be a great year at Eastern FC! Thanks to all families for their driving back and forth and their hard work to make this a successful weekend for all!" Looking forward to continuing our hard work this week! It's only the beginning of the journey! You read that right! The Month of March appears to be coming in like a lion, so we decided to do the same. Instead of just one member from the Junior and Senior programs, we decided to do a special feature. This month we are TWINNING! We have 4 sets of twins in our club and thought it would be nice for them to receive some special credit. They are brothers both on an off the field and share a special connection that has been noted by our coaching staff! We are proud to honor "the twins" in the month of March. Read on to learn more about these brothers: Federico (Kiki) and Flavio Vacca, Leo and Hugo Jercinovic, Manuel and Felipe Iglesias, and Chris and Matthew Li. When Coach Ray soaks my head with his ice cold magic sponge during a hot summer game. I think my best memory from EFC was when my team made it to the finals to a tournament. The game went to extra time and then penalty kicks and even though we lost and received second place I really enjoyed the tournament. When we won the last game of the Fall Season. Making it to the Semi Finals of State Cup. "Chris is an absolute beast on our back line. Matt is a technically gifted left footed player. Both boys are extremely respectful, disciplined, and dedicated toward success. I love coaching them. They are hungry and always eager to learn!" Improve touch on my weak foot. In 2018, we want to continue our mission of celebrating our players and connecting the entire Eastern Family. One way we have decided to do this is by honoring an EFC Junior player (2008, 2007, 2006, 2005, 2004) and Senior Player (2003, 2002, 2001, 2000) each month with Member Spotlight newsletter. When the players are selected, they answer the following questions, so all can get to know them. 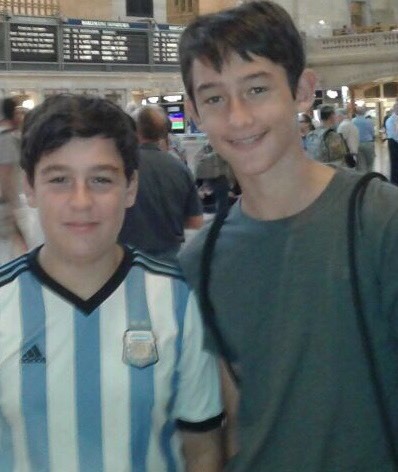 This week we celebrate EFC 2006 Blue Devils player, Sebastian Levy, as our Junior Player Spotlight and EFC 2000 Spartans player, Joey Carbone, as our Senior Player Spotlight. We hope that you enjoy learning about the different players honored from our club in the coming months. Our players come from all over the tri-state area and we are very proud of them all for their exhibiting pride, passion, and professionalism on a regular basis. Playing FIFA and watching soccer with my friend Manny. Sebastian is the kind of player every team wants and needs, works hard at training and it shows in games...has a wonderful work ethic, and wants to excel to raise his own game which benefits the team. He also takes time off the field by being involved in all our club functions to help in any way he can to support. He is a coaches dream as a player and will become a standout person on and off the field if he keeps to the game plan. My goal this season is to perfect my vision of the game and my long and short range passes. Senior Players: What are you interested in studying in college? Senior Players: What college are you attending or interested in attending? I am playing Division 3 soccer at Bard College. 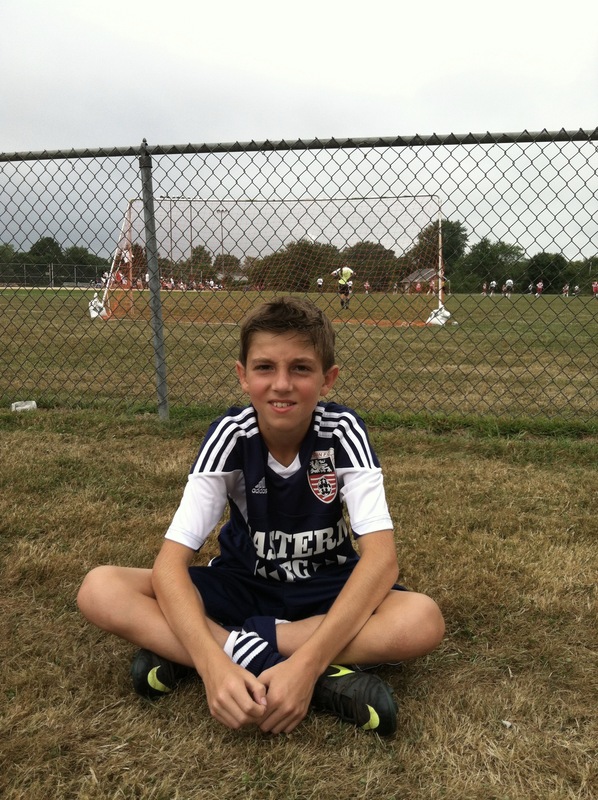 Joey is one of the smaller guys in our club but that doesn't matter on the soccer field. He has amazing talent, unwavering work ethic, and will be a college player soon. We look forward to Joey representing us on the college pitch for years to come! Congratulations to all players in Section 1 High School Soccer. 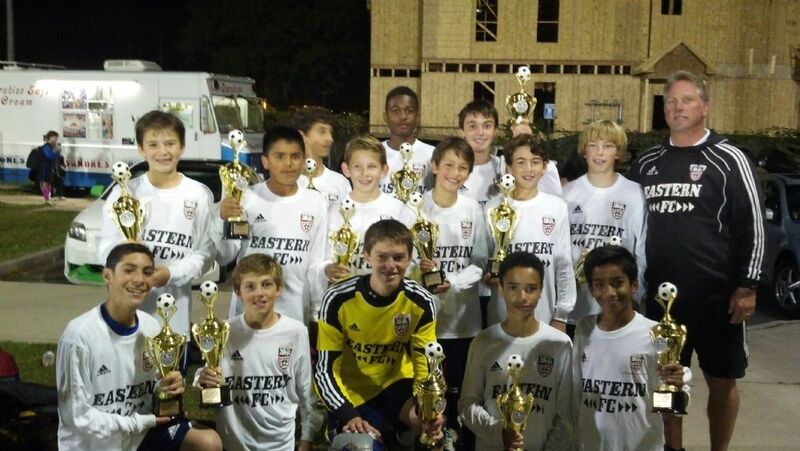 Eastern FC has players from all over the tri-state area. 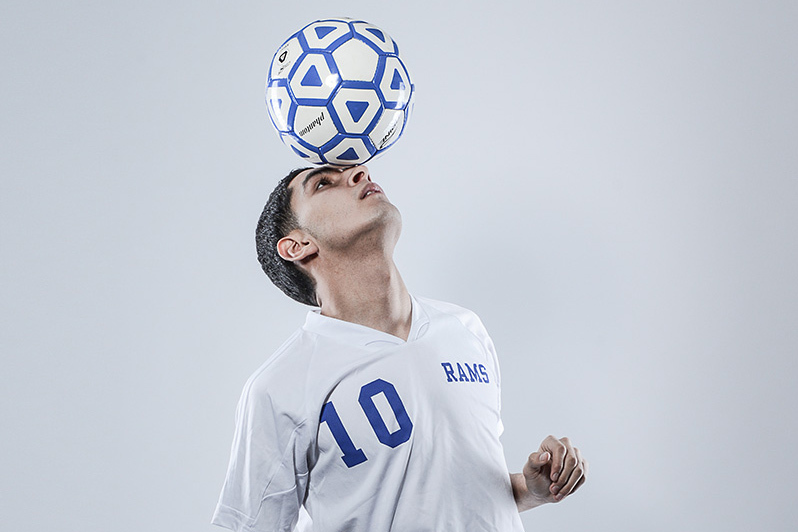 Last week, Section 1 of New York State hosted the All Section Boys Soccer Awards. These athletes were awarded as representing the top 4% of players in High School Soccer for the 2017 season. Alex Leahy was the top award winner. The EFC Spartan that was named League Player of the Year was awarded with the top honor of Small Schools PLAYER OF THE YEAR. Alex is the 4th EFC player in 6 years to earn this award in Section 1 HS Boys Soccer. In addition, he was awarded with the All State honor. A fellow EFC Spartan, Oliver Kleban (Blind Brook HS), was also named to the All State Team. In addition, Carlos Interiano (EFC Spartan, Mamaroneck HS), Andre Gheillerman (EFC Spartan, Eastchester HS), and Marc Kyriakidis (EFC Real, Pleasantville HS) were honored as All Section Award recepients. In addition, Jan Bacerra (EFC Real, Pleasantville HS) and Romel Ayala (EFC Spartans, Alexander Hamilton HS) earned All Section Honorable Mention. 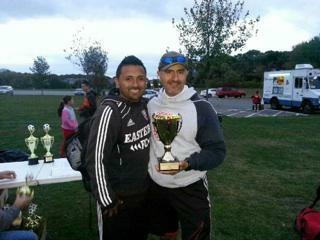 EFC Real Assistant Coach, Savvas Kyrkiakidis (Pleasantville HS), earned League Coach of the Year. EFC 2008 City Head Coach, Kirk Bamford (Hastings HS), was also named League Coach of the Year for coaching the Hastings Girls Varsity Soccer team. Below is a write up of all of the All Section Award Winners. Congratulations to you all and thank you for making our entire club proud of you. Alex was a four-year varsity player and captain who is one of the most versatile players in Bears history playing almost every single position (except for Goalkeeper) throughout his career. This year he led the team in assists and scored 7 goals. 4 of his 7 goals were game winners and 3 of his 5 assists set up game winners. That combines for 7 of the Bears 15 wins this season. In playoffs, he scored points in every game leading up to the final including the golden goal game winner in overtime of the quarterfinals and the assist in the semis. Alex will continue to play soccer in college next year. Oliver was an offensive threat in every game he played. He scored 20 goals on the year and recorded 7 assists on the season. He played in a total of 17 games and scored in 15 of the 17 games he played in. Oliver will continue his playing career at NYU. Carlos was the Senior Captain. He was a 3 year varsity starter. Carlos anchored a defense, which gave up less than a goal per game this year. Carlos also assisted two game winning goals this year. He has left his mark on Mamaroneck soccer with his tremendous leadership on and off the field. Carlos’s leadership in the back will be missed next year as he moves on to play in college. Andre was the playmaker for the Eastchester eagles. He’s the one that the team would look to control the game with his skills and vision to connect with his teammates, contributing offensively with 16 goals and 11 assists. A leader on and off the field, he made a huge impact on the Eagles this year. Marc is a 2 year varsity starter following in the footsteps of his two all section older brothers. A leader, role model, and player who played through injury while setting the standard with his ferocious, tireless work rate on both sides of the ball making him a dangerous and exciting player to watch. He led the team in scoring and points and was towards the top in section 1 finishing with 12 goals & 4 assists. His game winning goal with 2 minutes left clinched the first league title in 23 years for Pleasantville High School. The beginning of this season marks an unbelievable milestone in our history as a soccer organization in the tri-state area. 40 years ago, our Founder and President, Ray Franklin, set forth on a mission to instill pride, passion, and professionalism through the game of soccer. He first began with soccer camps and realized that the players were not being provided with proper coaching, consistent curriculum, and a family experience that embodies one of the sport’s most important elements: teamwork. 40 years later, thousands of soccer players have played for Eastern FC, gone on to play college, professional, and internationally. These boys and girls have used soccer to build a foundation for success in life and we couldn’t be more proud of how Eastern continues to develop each year. This year, is a very special one. We are glad to have you be a part of our historical milestone. We are excited about an unbelieveable 40th anniversary tour to England, and have some special surprises in store for the entire Eastern Family this year. This “EFC Quarterly” issue jam packed with important information, updates, and recaps some of our groundwork over the summer. Please enjoy! Development in training continues and as the players continue to gel, the results follow. We are excited about the potential with our teams and, ultimately, those players who measure themselves beyond the wins and losses end up being the most successful in the sport. Focus, dedication, and commitment are critical. Has your son asked to participate in a parallel age group’s training session? Any player can attend another training session in the club. Just ask your coach how! The more you play, the better you get. Join Ray Franklin and our EFC staff on a trip back to Ray's homeland! There is no better way to celebrate 40 years of soccer development in the Tri State area! We hope that you will join us for another unforgettable experience on this "Trip of a Lifetime." This trip is going to be very special and customized to the needs of the individual players on the trip. We will return to train with our friends (and summer camp coaches) back at the Blackburn Rovers training grounds. We will train with our longtime friends at Liverpool and even more academies. Friendly matches will be scheduled against local competition. We will train or compete 2-3 times daily. A total football education will be provided through video analysis, technical training, tactical discussions, live game analysis, and much much more! Most importantly, all kids will have a tremendous amount of FUN! Coach James Oates has selected three dates for our Extra Fall Special Topics “Optional” Training sessions. The sessions will focus on “Attacking the goal”. This is a critical concept that all players need no matter the position that they play. All sessions will take place at the Pocantico Hills School Gymnasium, 599 Bedford Road, Sleepy Hollow, NY. Please wear flats as this is a gym floor surface, bring all necessary soccer equipment, and wear GREY training top. We have been very busy with developing our Eastern FC Community programs for the past few months. The Eastern FC Community programs consist of local travel teams that are trained, coached, and directed by our Eastern FC Coaching staff. Over the summer, we hired several new coaches: Admir Moneteiro, Ray Stafford, Daniel Drake, Jack Remmert, Abdou Tall, and Danny Osso. These coaches coach 8 boys and girls teams in Briarcliff Youth Soccer Club and other surrounding areas. The Eastern Soccer Foundation, Inc. is a non profit organization. It is recognized as a 501c3 by the Internal Revenue Service, and any donations are fully deductible in accordance with IRS regulations. We take pride in all of the children who give so much of their energy to the sport of soccer. Our goals are simple, but without the support from other parents, corporations, foundations and the community, they will be difficult to achieve. We would like to see all those interested in playing soccer to participate regardless of their financial position. We will NOT be holding the Citrus Sale this year. However, stay posted, as we are currently working on our next fundraising initiative to take place soon. Eastern FC was proud to once again donate tee shirts to the 33rd annual Mount Pleasant Cup. This is a High School Soccer Tournament for Boys and Girls at the following High Schools: Briarcliff, Westlake, Pleasantville, and Valhalla. On the boys side, there were over 20 Eastern FC players playing on their respective High School teams in the tournament. In the finals, Eastern FC Coach, Savvas Kyriakidis, and his Pleasantville boys Varsity team won the final 1-0 against Briarcliff. The game winning goal was scored by EFC Real Player, Devin Juros. The Pleasantville Girls Varsity Team were also crowned champions. It is such a pleasure to be a part of such an excellent tournament and we thank the hosts, Valhalla High School, for having an exceptional atmosphere for the Finals which were held on September 9th. EFC Coaches Getting Big Opportunities! A special congratulations to EFC Blast head coach, Nathan Kalin on his appointment as the University of Albany Men’s Assistant Coach. This was an exceptional opportunity for Coach Kalin being given the opportunity to coach one of the top 50 programs in the country. EFC Alumni, Iona College standout, and EFC Coach, Willya Mekola, returned from his first season playing for Grythyttan IF (GIF) in division 4 of Sweden’s Professional Soccer League. Willya led his team to a top 3 finish in league play and has now been offered a contract to play for a division 2 team. Congratulations Willya for taking the risk and for representing EFC in Sweden. Many of our alumni have been having successful college soccer seasons this Fall. Two Freshmen have earned early season honors that deserve recognition. A few other alumni are still making us proud as well. We are so proud of all of our alumni who keep earning the spotlight and you make our entire staff proud! EFC 2017 Player of the Year, Jon Kyriakidis, wasted no time earning Offensive Player of the Week Honors in the MAC Freedom Conference after scoring the game winning goal in Manhattanville’s first ever win over Vassar College. Another player from the 2017 Regional Championship EFC Spurs, Ahamad Raji, earned Rookie of the Week honors in the North Atlantic Conference. Raji scored the game winning goal for Colby Sawyer College, NH helping the team stay unbeaten in league play. Caleb Asamoah, SUNY Oswego, EFC class of 2015, scored his first career hat trick! Luis Morales, St Thomas Acquinas, EFC Class of 2014, Luis has scored four goals in the month of September after being named Division 2 All American last season. Have you added us as a Friend on Facebook? Eastern FC is excited to announce that Professional Physical Therapy will be having two very important "Ribbon Cuttings" to kick off our official partnership on Sunday, October 30th at 9:30am and Thursday, November 3rd at 7:30pm. This will take place on the Tibbets Park Turf Field #1 at team training session locations. All parents and players should attend to celebrate this benefit for our scholar athletes. The Eastern FC Staff is very excited about this opportunity, because it allows for our athletes to be taken care of in the event of injuries and also allows players to learn about injury prevention. Professional PT believes in treating their patients, not just their injuries. Their licensed Physical Therapists customize individual recovery plans, using the most state-of-the-art technology and practices to get patients performing better than ever. We had a great night with the Eastern FC Family at Yankee Stadium for the last match of the inaugural season. The Eastern Soccer Foundation sold 213 tickets to the game! A great time was had by all and it was great for all to get some time off of the field to meet new players, other EFC teammates, coaches, and more. We look forward to doing it again in the Spring! We also were able to use the tickets to raise over $1300 for the Eastern Soccer Foundation. The Eastern Soccer Foundation is dedicated to raising funds to help supplement the costs of premier soccer for families in need. It also designs community service outreach for all of our teams to participate in and helps provide college recruiting seminars to our players. Our goal this year is to raise over $50,000 for the Eastern Soccer Foundation. Our next big fundraiser is the Citrus Sale, and we have our esteemed volunteer, Jennifer Molinoff, who is spearheading this excellent fundraising venture. We are going to need all of our family to pitch in once again, so that we can continue to get closer to our goal. None of this could be done without the kindness and generosity of the entire Eastern FC Family working together. We thank you in advance! We would like to also thank all of the EFC Senior teams who donated 144 pounds of green beans, squash, and other vegetables to the Pleasantville Community Garden on Sunday. This Fresh food will be going out to people all over Westchester TODAY and will be on plates early this week. 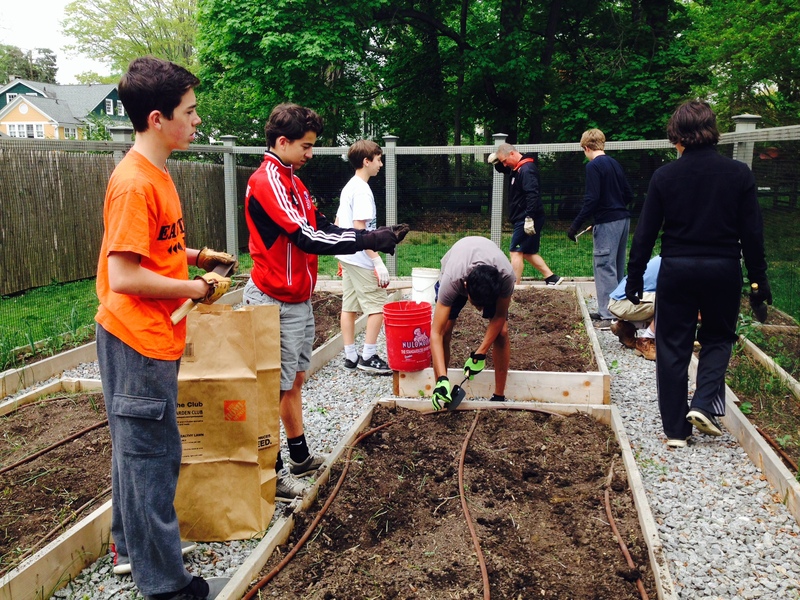 The Pleasantville Community Garden, began by U15 EFC Player, Devin Juros (when he as in seventh grade) has created community gardens and provided Fresh Food to help end hunger in Westchester. We are so proud to be a part of this, and we so happy that our FIRST week brought in so much food. Next week, will be collecting CARROTS and SPINACH/LETTUCE, but any fresh vegetables will also be accepted. It is our goal to beat 144 pounds next week! On Sunday, at Masters School, a bin will be at the field for families to drop food in before or after senior boys practice. A special thanks to the Juros Family, the Pleasantville Community Garden, and all of the Eastern FC Family for being so generous! HBC Labor Day Recap: All Gold and Silver Lining! 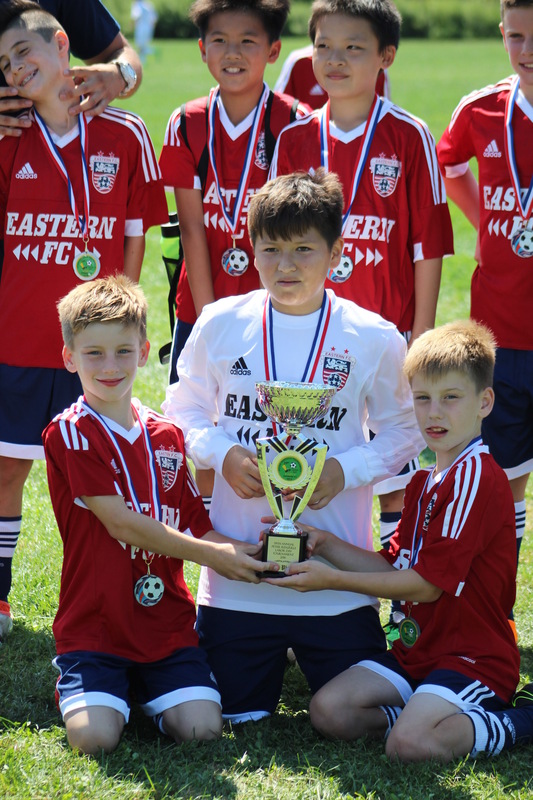 The HBC Labor Day tournament not only provided beautiful weather and the first tournament of the 2015 Fall season for EFC, but all 5 EFC teams that entered returned home with either gold or silver trophies. The Results: U9 Lions: Second Place, U10 Magic: 2nd Place, U12 Force: 1st Place, U13 Rangers: 2nd Place, U14 Warriors: 2nd Place. A special congratulations to the two brand new EFC teams, the U9 Lions and U12 Force for an amazing first performance after practicing only two weeks together. A special thanks to all parents for their transportation, positive support, and dedication. Congratulations to all teams. The training continues. The Friday Night third training session has had an excellent turnout. The coaching staff has thoroughly enjoyed the opportunity working with all Junior Teams. Our Senior teams begin this weekend on Sunday, September 13th. We are looking forward to the future. The New York Cosmos announced Tuesday the launch of the club’s Academy Affiliate Program, which sees 19 soccer clubs from the New York metropolitan area join as founding members. 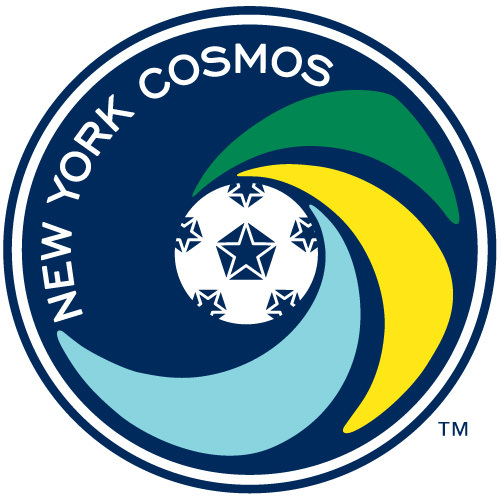 Through the affiliate members the Cosmos will be able to identify local talent and give young players the opportunity to play for the NASL team’s academy. “This is a very exciting time for us as we lay the groundwork for our Academy,” Cosmos head coach Giovanni Savarese said in a statement. “The Academy Affiliate Program represents a strong partnership between ourselves and local clubs that have devoted time to developing young players. This partnership aims to give young players, at all levels, the chance to grow in a sport they love." “Not only will we be able to identify local talent and share our training philosophy with local coaches, but we will be able to offer these young players a real pathway to professional soccer,” he added. The youth clubs who have committed to this program will receive direct access to the Cosmos, including first team coaching staff who will share best practice and coaching education. The Cosmos will also provide the clubs with presence on their digital channels and promotion at home games, reaching thousands of fans. EFC President, Ray Franklin, stated, "This is an excellent opportunity for growth with an organization that has had a long standing presence in American Soccer. Many of the clubs that are teaming up here also hold a significant foundation in Youth Soccer in New York State. We are excited for our coaches, players, and families to benefit from this opportunity, and are glad to add a professional partnership to the Eastern experience. Believe in Magic and it Shall Prevail! CONGRATULATIONS TO THE U9 MAGIC: NY STATE CHAMPIONS! On Saturday, June 13th, the U9 Magic found themselves behind 3-0 early into the match. Instead of giving up, the dug down deep, worked together as a team, and scored four consecutive goals to become the NY State Champions in thrilling fashion! The U18 Lancers took home the silver medal at the NY State Cup Championship on Sunday, June 14th. Although, the boys did not take home the gold, they have won championships at the state and regional level within their tenure. They have been a historical team in this club and have developed into bright young men here at EFC. They are all graduating and going to college next season. They currently sit in second place in the National Premier League, and await an at large bid to the NPL Championships this summer. This is a historical weekend for Eastern FC. Our youngest (U9 Magic) and oldest team (U18 Lancers) will battle in HBC at the NYCSL NY State Cup Finals. Both teams are coached by Ray Franklin, and we are excited for them to participate in this unforgettable experience. GOOD LUCK BOYS! We are so proud of you! Do You Believe in Magic? Well, We do! 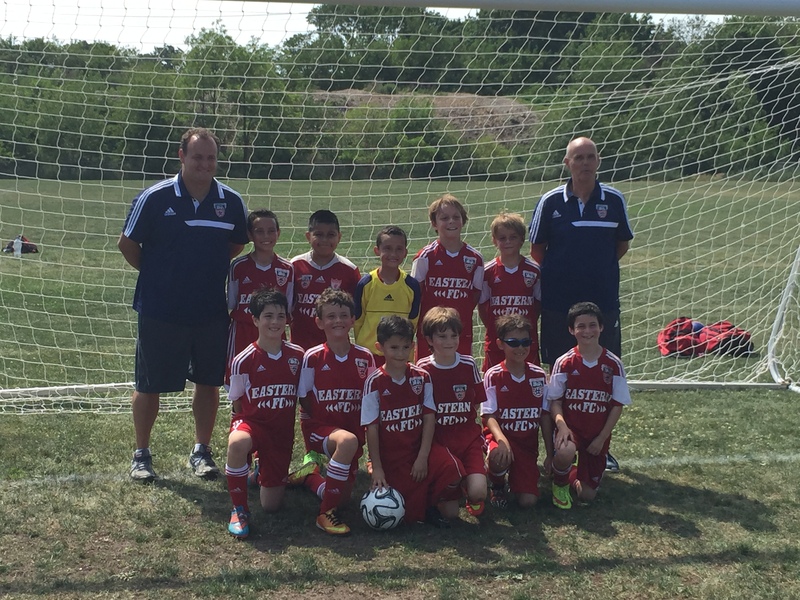 The U9 Magic clinched their birth to the New York State Cup Finals with an 8-1 victory in Levittown, Long Island. The “little magicians” will play in the New York State Cup Championship at 9:10am on June 13th at HBC Athletic Complex in Melville, NY. The U18 Lancers won the semi finals last weekend 2-1 against Intense Soccer Academy. This the teams FIRST NY STATE CUP FINAL. They went to the semi finals last when they were U15 and lost to eventual NY State Champion Smithtown. The team has played on the biggest stages thus far as a team: NPL Champions, NPL Champions CUP, US Club Regionals, US Club Nationals, Northeast Regional Champions, Jefferson Cup Champs x2, and numerous Tournament Championships. We are excited for them to finally get a chance to play in a State Cup Final. They play the State Cup Final Sunday at HBC @ 1:40pm. Then they travel to Massapequa (ON THE SAME DAY) to play in NPL. It's a great day of great football for the team. C'Mon Boys!!! It was an eventful weekend full of Mother Nature’s best tricks, but the U9 Magic managed to get their full game in before any weather interruptions. Many of our home games were delayed, shortened, and partially rescheduled. We want to thank everyone for their patience. Unfortunately, we cannot predict Mother Nature’s intentions and we also have to do our best to play the games in the safest conditions possible, because our opponents travel long distances. Another group of teams from EFC (U12 Generals, U12 Rangers, U13 Chiefs, and U13 Warriors) participated in a community service outreach experience at the Guidance Center of Westchester. 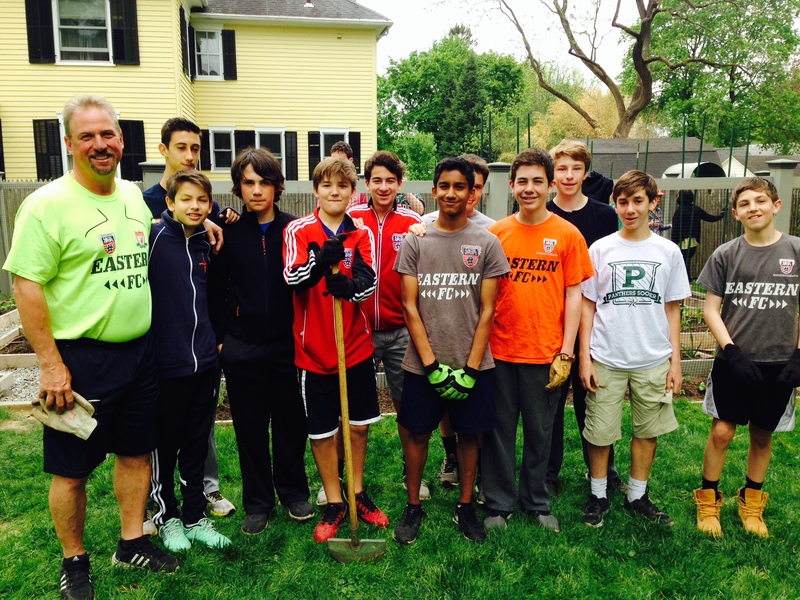 The teams planted flowers, beautified the grounds, and even helped coach a 3 & 4 year old soccer program. The mission of the Guidance Center is to improve the well being of people of all ages through innovative and effective programs that enable everyone to learn, work, and thrive. We would like to give a special thanks to EFC Foundation Director, Brett Perrine, for creating another successful community outreach program for our teams. So far, our teams have also participated in community service events at the Briarcliff SPCA and Pleasantville Community Garden. It was a beautiful weekend of weather at the Massapequa Memorial Weekend Tournament. Our teams had the opportunity to bond, develop, and compete against consistent competition all weekend. The teams worked hard and the coaches were extremely happy with the development since the Fall. In the other results, the U12 Rangers were 1-1-1 holding 5 of 6 halves of defensive shutouts in their first time playing 11v11. The U9 Magic were 2-2, U12 Generals were 1-2, U17 Reds were 1-1-1 playing in a U18 division, and the U13 Warriors went 1-2-1. As we approach the last month of the 2014-2015 season, team acceptance emails will have all been sent out by Thursday, May 28th. Please check to make sure that your EFC account includes your most current email and that you have NOT clicked on the “NO EMAIL” setting in your email settings. Great Weekend EFC! We look forward to the development. 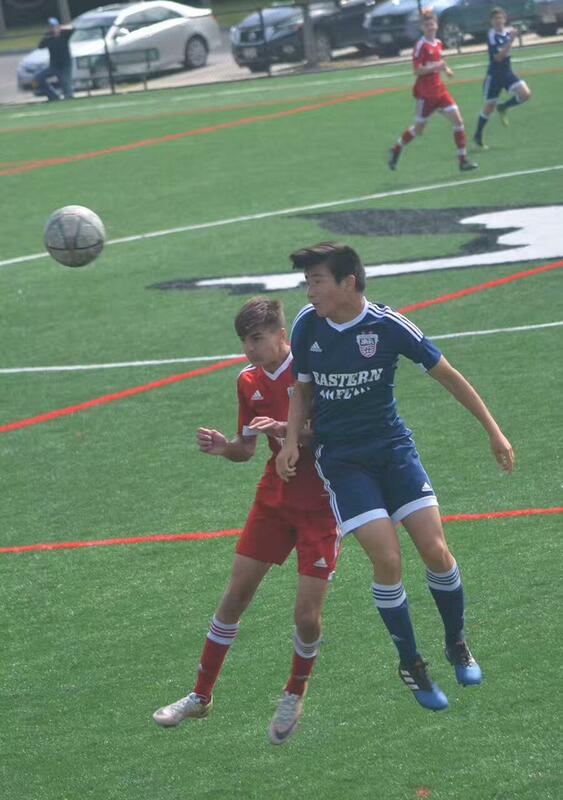 Eastern FC U18 Lancer, Steven Hernandez was invited to the U.S. National Market Training Center on January 31st, in the Dana Farber Fieldhouse at Gillette Stadium with the US National Team Scouts. U.S. Soccer contacted Eastern FC in January to invite Steven Hernandez to the January 31st, National Market Training Center. Steven “Stevie” Hernandez trained with the best players in the Northeast, U.S. National Pool players, and current U.S. Youth National Team members. He was coached by the current U.S. Men’s National Soccer Staff and the head scout in the North East. 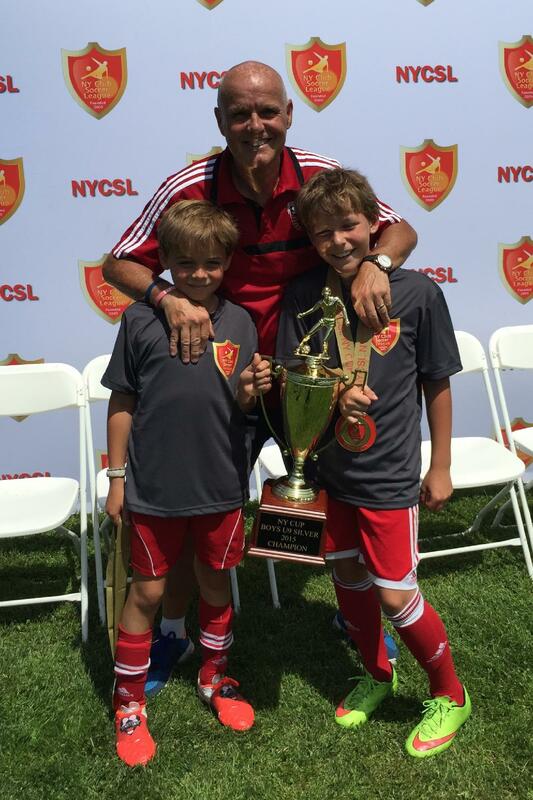 Stevie has been a part of the two-time NPL Champions, the Lancers, since he was 10 years old. The Port Chester High School player and 2014 Westchester Magazine Athlete of the Year, also had an incredible High School season receiving All Section, All State, All Region awards last Fall as a Junior. He also received a nomination from Section One for the NSCAA All American Award. With Stevie attending this type of event, it will only pave the way for other players in our club. Stevie has set the bar for our entire club, and our coaches understand the level of player US soccer and future colleges are looking for. 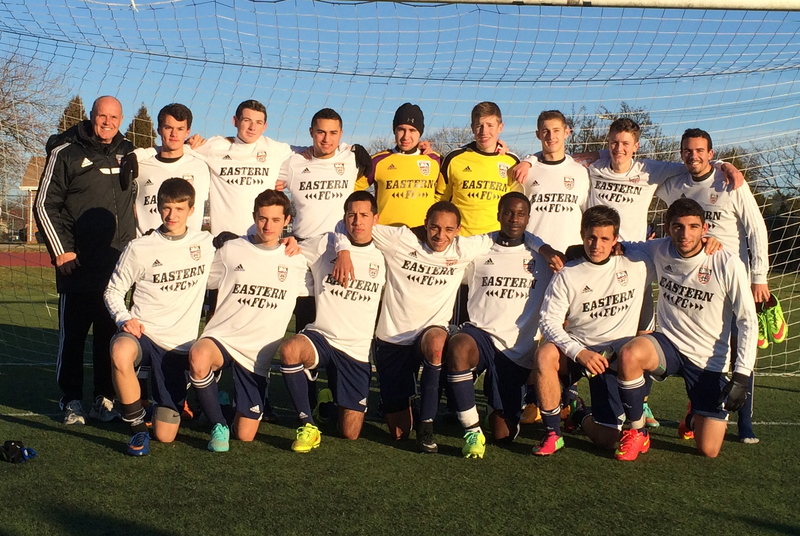 The Massapequa College Schowcase featured four Eastern FC teams last weekend. The U18 Lancers and U17 Reds went undefeated finishing the weekend 3-0. The U16 Rush and U15 Blues brought home second place. In the previous weekend, the Lancers had taken home second place at the MSSL showcase, and at Massapequa, the Back to Back National Premier League Champions had 16 goals for and allowed only one goal against. Coached by Ray Franklin. The U17 Reds had three shut outs in a row putting in a perfect defensive performance all weekend. Coached by Rich and Ray Franklin. The U16 Rush battled through an overtime final, but have become one of Eastern's most improved teams so far in the 2014 season. Coached by Alex Torres. One of Eastern's newest additions, the U15 Blues, battled all weekend playing their hearts out in every match. Coached by Jeffrey Fleischmann. After a long and extremely competitive High School season, our Senior Boys returned to Eastern in top form. The boys did their homework, contacted college coaches, and returned home with new contacts and positive feedback from D1, D2, and D3 programs. Beau Morki, Coaching Director at Eastern FC, was proud of our Senior teams, "At the Senior level, we pride ourselves on results and development. The boys had the opportunity to play in front of a lot of college coaches this weekend and they showed many coaches the quality of players we have developed at Eastern. Many of these players have been with us for 3 or more years, and each team had many losses and wins to overcome throughout their tenure. However, it's weekends like these that show that the hard work always continues. I am proud of our boys, the coaches, and the club. They did more this weekend than just win, they bonded, problem solved, came from behind, ate meals together, tweeted and instagrammed each other, kept shutouts, and enjoyed the entire Eastern Family experience." Together, we continue to prepare for the return of the NPL, NY Cup, and more college showcases ahead. The U16-18 teams have been accepted to the Jefferson Cup, in Virginia, in March which is one of the most competitive tournaments in the country. In order to be prepared, 100% attendance and 100% commitment to learning is critical. We hope that our Youth teams will use the Senior teams as their model moving forward. Congratulations parents, teams, players, and coaches. Plenty of work ahead as always. If you would like to stay up to date with EASTERN instantly: Follow us on TWITTER: @EasternFC or FRIEND us on FACEBOOK: EASTERN FC. The High School Soccer Season has officially ended for all of our players. Although, we are excited to have them back with us, many of them are seniors that played their last High School season. They had tremendous High School seasons, contributed to their schools as scholastic athletes, and they deserve to be celebrated for their achievements on the field. These players from New York received many great accolades worth praise and we are excited about the work of all of our players. Congratulations to all of these players. Steven has steadily become one of the best players in section one. The junior co-captain demonstrated why he is such a special player by scoring 13 goals and adding 11 assists. Next year, as a senior he looks to complete what has been a magnificent and one of the best careers in Port Chester history. Luis followed up what was an excellent junior season with an even better senior campaign. The senior co-captain scored an amazing 18 goals and had 5 assists. His leadership, high energy and relentless pace of play was exceptional all season. He led the Bears and league in scoring 7 league goals, 4 game winners, and had 12 goals with 4 assists for the entire season. He is a technically gifted player that Briarcliff is happy to have back next year. He led the Bears back line breaking the school career shut-out records two years in a row, and was responsible for 28 shutouts in his varsity career. As a center back, he was versatile enough to be moved into the forward position scoring 6 goals, and 3 game winning goals this season. As a sophomore, he led the team with 16 goals and 3 assists, and was directly responsible for more than half of the team’s goal production and the 6-0-1 mid-season run. His creative dribbling and distribution skills in tightly marked spaces made him dangerous and an exciting player to watch. 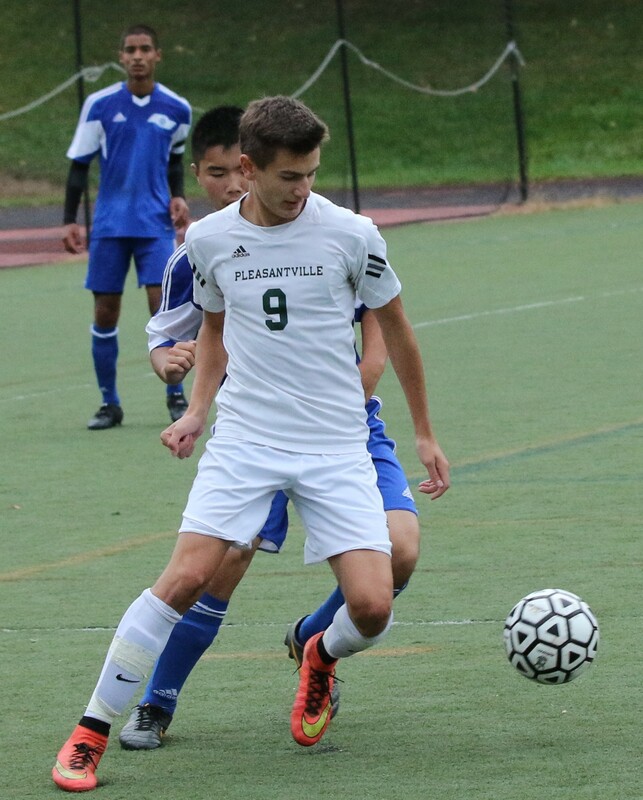 Savvas led a young Pleasantville team to one of their best seasons in the past five years. In his second season at the helm, Savvas created a disciplined, organized, and extremely competitive program that is destined to become a class B powerhouse in years to come. Our entire coaching staff would like to Congratulate Savvas and the boys at Pleasantville, many of which play in the club. 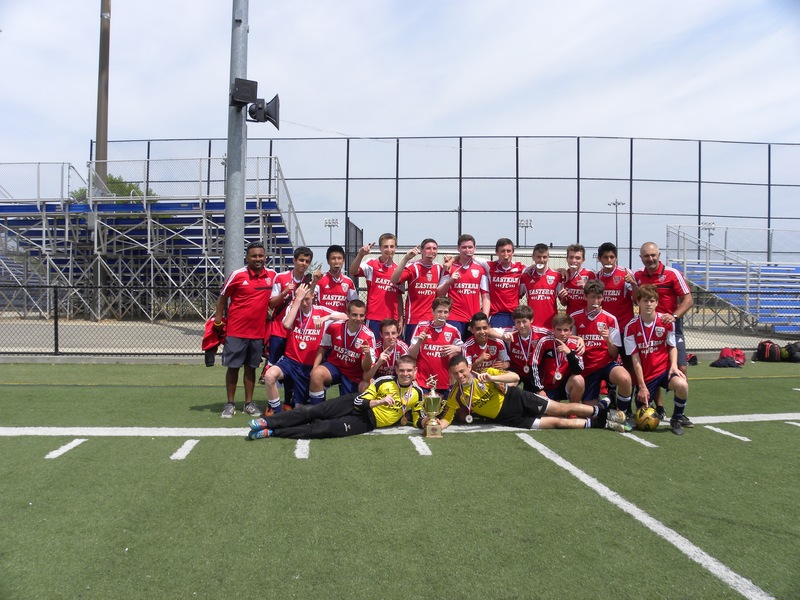 The NYC Mayors Cup includes the best soccer players selected from the five buroughs. Two exceptional young men represented our club in this amazing event! Jafet Rivera, Iona Prep, U18 Lancers, Selected to play in the NYC mayors cup representing his school. He has been a proud player in our club for the past three years. Danny is the first player ever in his school to receive this honor. Danny has been a proud player in our club for the past 5 years. This is ana amazing achievment. As the Spring teams continue to begin their seasons, we encourage our youth players to get out to see them play. Many of these young men listed above will be continuing their playing careers into the college level. They have worked extremely hard, with a strong commitment to attendance and participation at training that has resulted in exceptional High School soccer careers. *All of the above information was located on the LoHud Boys Soccer Blog. The write ups were collected from the 2014 All Section Awards Banquet. THREE EFC High School Players have been nominated by LoHud Journal News as the 2014 Westchester All Stars. This team will be finalized by a FAN VOTE and the final results will be published in the Journal News on November 30th. EFC Director and Section 1 High School coach, Brandon Beck commented, "These are three of many amazing players in an exciting High School 2014 Season. These players led their teams and had not only successful seasons as players, but had excellent team results as well. Each was nominated by numerous coaches recommendations, and also by Lohud Boys Soccer Blog Writer, Vin Mercogliano. We are proud of these boys and hope that the entire EFC FAMILY will vote for them and show their support. They are incredible young men!" It has been an extremely exciting start to October at Eastern FC. New York State Cup opening rounds have begun, leagues are in full mode, and we return from the Northport Cow Harbor Tournament as a stronger club! It was an excellent showing for all teams at the Columbus Day Tournament. Four teams returned in first or second place in their respective groups. The U9 Magic and U14 Gunners were crowned champions while the U12 Rangers and U12 Generals finished second. The U9 Magic scored 19 goals and were once again crowned champions for the second year in a row. "These little nine year olds are the future of our club. They love to play soccer, have so much fun doing it together, and are so much fun to coach," stated EFC President and Magic Head Coach, Ray Franklin. It was the U14 Gunners first tournament together this season, and they repeated as champions from last year. They ended up going into a penalty shoot nine players deep in the final. "It was a great experience for us to hit the ground running and to get a sense for what the future holds. The future holds much to learn, but plenty of potential that I am very excited about, " head coach, Jeff Fleischmann stated. Overall, this was a great experience for all teams on many levels. It was a great bonding experience, and another chance for players to play a lot of strong competition over the course of two days. We thank all of our families for their commitment, carpools, and cooperation. We look forward to the future together. We would like to thank the St. John's University Men's Soccer team for graciously allowing our youth teams to be a part of an unforgettable experience. The U9-U12 teams along with Coaching Director, Beau Morki, were invited to train on the field prior to the game, walk out with the players prior to their warm ups, and a chance to meet all of the players. "This was an excellent experience for the boys. We want them to begin to think about college soccer now, and providing it to these players at this age was priceless. The SJU Men's team was amazing to our team and club, and we are excited about the positive experience this was for the boys! "-Beau Morki. The State Cups and NPL continue. The Senior Boys teams begin to complete their respective High School seasons. NY State Section 1 soccer playoffs begin next week. We are excited about having all of these players back, but we wish them all the best of luck in the end of their seasons. Keep training, working hard, and being a "student of the game". *A special thanks to Makesha Williams and Anja Vacca photo credits. Eastern FC Alumni have been making headlines. Today we would like to focus on two special players who have had tremendous success since the beginning of the college season. Joe Iraola, the Mahopac High School native, is now a sophomore at American University. After an excellent campaign as a freshman playing every game, and starting 13 out of twenty, the sophomore has taken the reigns scoring 4 goals in six games. He is currently tied for 13th in the country for scoring with the division one American Eagles. Perhaps the biggest victory for the Eagles came when Joe and the boys took down the UCLA, 2-1 in New Mexico. Beating the number one team in the country followed by four wins in a row has promoted the team to be ranked #12 in the country. 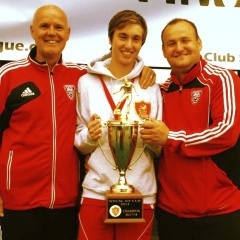 At Eastern FC, Joe played for the U18 Chiefs who won the New York State Championship. He came back last summer to continue his work captaining the U20 team at Eastern FC. "We are all very proud of Joe and always knew he would create success around him. He is the kind of player that every coach and player want to be around. We are so proud of him," EFC Director of Coaching, Beau Morki stated. Junior Cordeiro attended Central Connecticut this summer for preseason not knowing what to expect. He was offered an opportunity to tryout, and he always believed he could play at the division one level. Many coaches thought that his size would be an issue as he weighed in at a whopping 140 pounds at 5 feet, 8 inches. However, when he stepped into training on day one, he was quickly promoted to the starting line up at Central Connecticut and has since started every match. He trained extremely hard all summer with the EFC U20 team, the U17 Lancers, and also attended the U17 National Championships with Ray Franklin and the boys. "Junior grew up with us and has played with us since he was 13 years old. He always set his goals high and was about soccer first and foremost. We are so proud he has achieved the highest potential. Central is lucky to have him and we look forward to having him come back to play with us this summer," stated Junior's EFC Head Coach, Brandon Beck. These are only two of the many success stories from our college players. For more information about our alumni, please visit our alumni page. College soccer is an amazing experience and these boys are so excited to play as scholastic athletes. For more information about the college recruiting process, please visit the "college recruiting" section of our site to begin your preparations now! Our success came in many forms: victories, team bonding, strong competition, and plenty of goals! The U9 Magic repeated as Labor Day champs winning all four games, outscoring their opponents 24-3, and capturing another trophy for a solid performance. 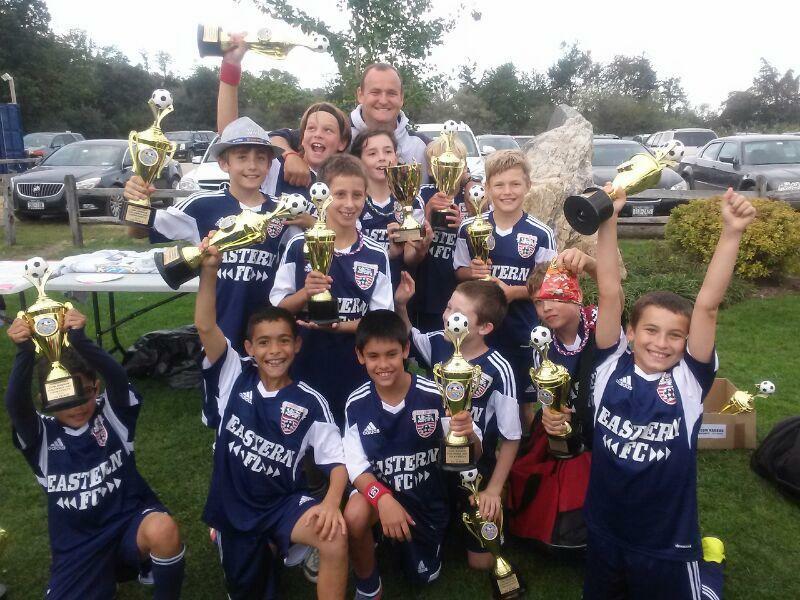 The U12 Rangers went 2-1-1 taking second place after losing in overtime of the championship match. The U13 Chiefs took home third place, while the U13 Warriors and U12 Generals battled consistently against stiff competition. U9 Magic Head Coach and EFC President, Ray Franklin stated, “The entire tournament was the beginning of competition for our teams. All teams started off strong and the team had a chance to reconnect as well as welcome new faces to their families. We are excited to see how much stronger these teams will be as the season continues and we use this tournament as a learning experience. Thanks to everyone for a great weekend." Up Next: National Premier Leagues, Premier Leagues, and State Cup play begin soon. Plenty of training ahead! Train your hardest at training and learn as much as you possibly can! *Pictured above. U9 Magic with head coach Ray Franklin. 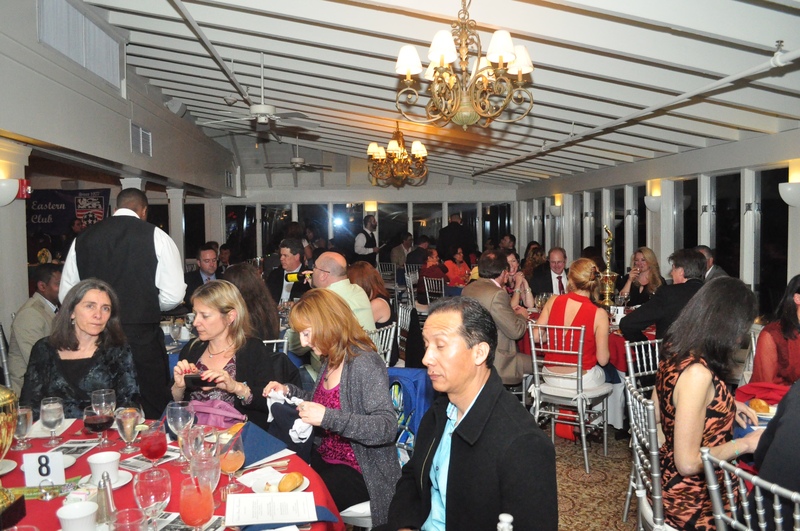 We would like to thank you all for attending our annual Foundation Banquet. It was a great turn out, and we raised a lot of funds for a very special cause. 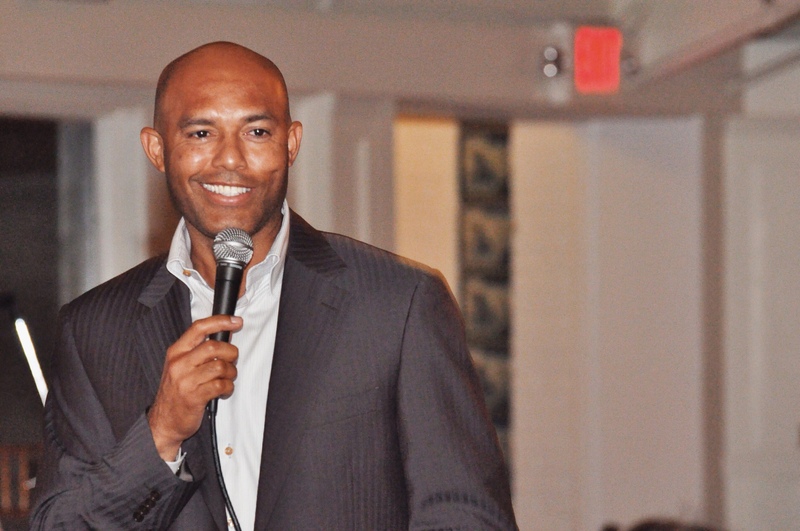 We would also like to extend a very special thank you to one of our own, Mariano Rivera, for his inspirational words and for taking the time to spend with our Eastern Family. It was truly an honor! He was a complete class act. There are so many people we would like to thank. 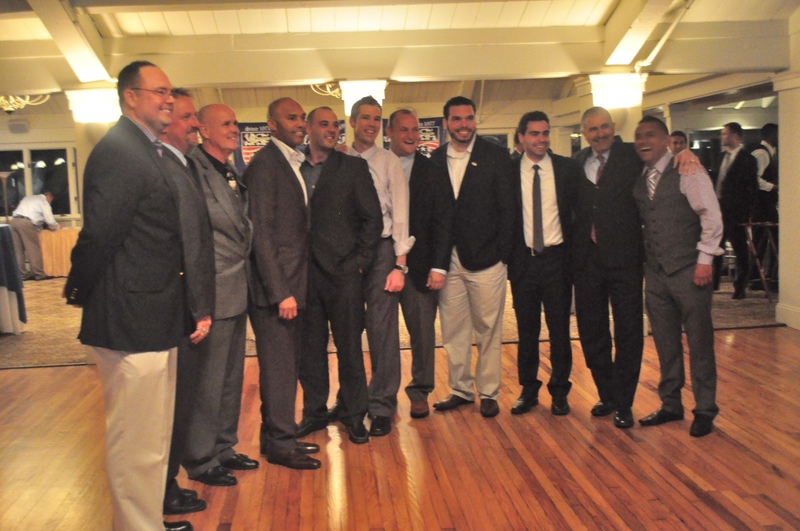 A special thanks to the Foundation Volunteers: LaGreca Family, Eric Gelb, Nick Kyriakidis, Juan Sanchez, and more. Thank you to our amazing EFC coaches and managers. Thank you to all of you that donated. Pictures are also on our Facebook page! Beautiful location! Thanks for amazing service! And thank you to our sponsors! Plenty of great football, quality training, exciting matches, and beautiful goals have been scored in the past two weekends. "There is nothing better than showing up at a field when another another Eastern team is playing. The beauty of the NPL is just that. We have a chance to get to see several EFC games in a row at one field. I love being able to spend the time with the coaches, see the players, and watch the teams cheering for each other. That is the beauty of playing high quality matches against high quality opponents. Great football is guaranteed and we love the NPL!" U18 Blues Head Coach Brandon Beck describing his first NPL experience. U17 Lancers, Luis Torres celebrates after scoring a game winner. U18 Blues (background) celebrate with him. 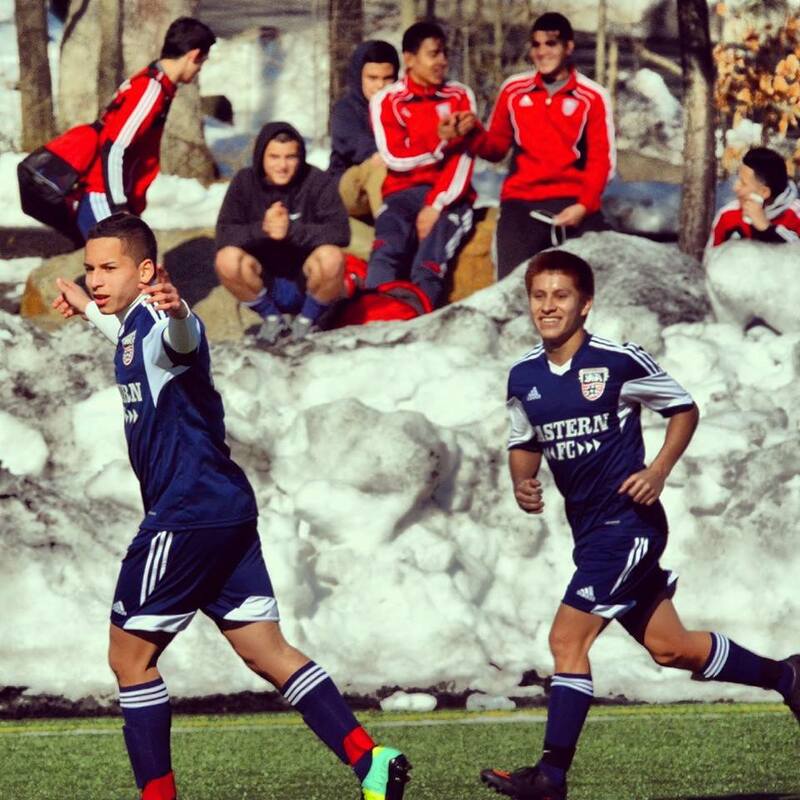 Some excellent highlights in NY State Cup play took place this weekend. Coach Luca Ranallo and the U11 Generals advanced to the round of 16 of State Cup winning in dramatic fashion in penalty kicks 4-3. The U15 Rush came from behind to tie 2-2 in Smithtown. Then they punched their ticket to the round of 16 winning 3-0 the following day. The Lancers won 9-1 in a must win game and advance into the round of 16 in NY State Cup. The U18 Blues won 2-0 in their first group game in NY State Cup. U17 Lancers: 6 point weekend as the defending champs! Another total club victory against Parsippany in the NPL. Eastern FC won 3, tied 2, lost 1. Well done boys. State Cup action is back in the upcoming weekends. We have several teams in must win situations to get to the round of 16. Good luck to you all. Keep training. TRAINING IS MANDATORY FOR ALL!!! The Hackley Hornets also won the NYSIAS State Championship for the first time since 2001. Another Special Congratulations to EFC Coaching Director and premier coach, Beau Morki (EFC Rangers). Beau coached the School of the Holy Child Girls Varsity team to the NYSIAS State Championships for the first time in school history. On Tuesday, November 19th, the New York State Section One Boys Soccer Awards Meeting was held at Colonial Terrace. These athletes represent the top 5% of all Boys soccer players in Westchester, Putnam, Dutchess, and Rockland Counties. Our Eastern FC Players represented their High Schools becoming some of the most valuable players in New York State. A special congratulations to all players and coaches. A special congratulations goes out to EFC Coach & League Coach of the Year, Ahmed Dwidar (EFC REDS) who led his Haldane High School team to an amazing season capturing both the League title and the Class C Section 1 title. The continued on to become Regional Finalists. Over Columbus Day Weekend, all teams participated in the Northport Cow Harbor Columbus Day Tournament. It was a weekend that not only provided beautiful soccer weather but also plenty of trophies for our club. Four out of 6 teams returned from the weekend as champions. The U13 Gunners, U12 Warriors, U11 Rangers, and U11 Generals all won the entire tournament. The U8 Magic placed second and the U12 Chiefs placed fourth. It was a great weekend for the players, teams, coaches, and families. EFC Coaching Director, Beau Morki was proud of the progress of the entire club, "Our teams compete at some of the highest competitive levels in the nation. To go to these tournaments and have over 90 percent of our players return home with trophies is a credit to the hard work that our coaches, players, and families put in on a weekly basis. One of our teams scored 23 goals! I couldn't be more proud of our work, but we are only about 2 months into the season. We demand continued commitment to training, players working on their own off of the field, and continuing education through watching soccer on television. Continue to develop and educate!" Congratulations to everyone on a great weekend. All teams return to league and state cup play this weekend. Good luck to you all. It was an amazing Labor Day Weekend for our teams at the Peter Renzuli HBC Labor Day Tournament. Five out of six of our teams placed First or Second. 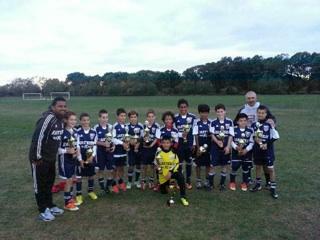 The U12 Warriors and U13 Gunners won First Place. The U12 Chiefs, U11 Generals, and the U8 Magic took second place. EFC Coaching Director, Beau Morki, was proud of the performance of the club, "This is an example of all of the hard work we have done at our club in the past years. Our club gets stronger every year, and we are excited about the future." It was a great start for our teams after only two weeks of training. A special thanks to all of our managers, coaches, parents, and most importantly, our players! It's the beginning of another great year. Our premier leagues begin next week as well as our National Premier League. 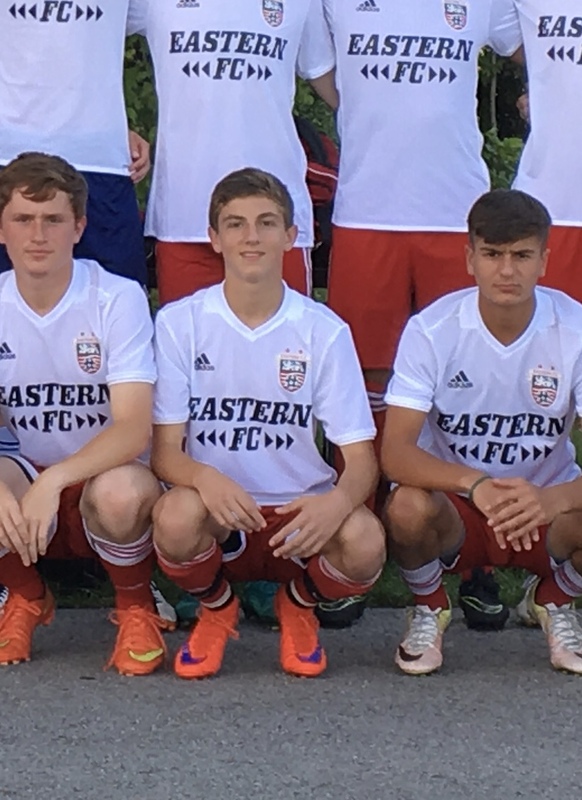 Eastern FC is also sending four of its players to the NYCSL PDP ID2 Program on Saturday, September 7 at Oakwood Soccer Complex in Connecticut. This is a great start to our 37th season! U16: Lancers 2013 National Premier League Champions! Congratulations to the U16 EFC Lancers on becoming the first Eastern FC team to win the National Premier League title! They had been awaiting the results of the second place team to finish out their scheduled games. Last night SPA had to beat East Meadow 4-0 in order to tie the first place Lancers. SPA lost the game 1-0 giving the Lancers the National Premier League title. The wait is finally over and they will now represent the New York National Premier League in the US Club National Cup in Colorado July 18-22. The Lancers continue to set history at the club and this is something they have done consistently at Eastern. Throughout their tenure, the Lancers have won the New York State Premier League, Numerous HVYSL titles, 2 US Club Regional Titles, a Northeast Premier League Championship, 2 New York State Cup Semi-Final Appearances, a pre-academy tournament title, 2 Jefferson Cup Tournament titles, and the list goes on. "We are very proud of all that the Lancers have accomplished. They have been dedicated and committed to both training and our club since they were nine years old," stated EFC Coaching Director, Beau Morki. The US Club National Tournament will take place July 18-22 in Aurora Colorado. The culminating event of the National Premier Leagues (NPL) season each year is the NPL Champions Cup, where the NPL national champions will be crowned. The NPL Champions Cup will feature qualifiers from every NPL across the country in a true “champions league” competition. Congratulations to the Lancers! Good luck at the National Cup! Congratulations to the U16 EFC Lancers becoming US Club Regional Champions! They had a tremendous performance at the Regional tournament over Memorial Day weekend. The Lancers won their group winning every game, scoring 10 goals in four games, and winning the final 3-2. Along the way they beat World Class FC, Boca, and Mattituck Alliance. This will be the team’s second trip to Nationals in three years! Most importantly, the Lancers also have a chance to clinch their National Premier League this weekend in their match at SPA on Sunday. The Lancers have held the number one spot all season long and a win or tie this weekend will make the EFC Lancers the first Eastern team in club history to win the National Premier League. The winner of this league gets a chance to compete in the National Premier League Champions Cup which is held at the same place as the National tournament. If the Lancers win their league outright, they will represent the club in the National Premier League Champions Cup and have a chance to play all of the champions from the National Premier Leagues around the country. Congratulations to the Lancers! We look forward to your future! U18 Chiefs Crowned New York State Champions! After beating one of the top teams in the nation Monday night, the U18 Chiefs traveled to the U18 New York State Finals, with one thing on their mindÃƒƒƒƒƒƒƒƒƒƒƒƒƒƒ¢Ãƒƒƒƒƒƒƒƒƒƒƒƒƒ¢‚¬Ãƒƒƒƒƒƒƒƒƒƒƒƒƒ‚¦WIN THE STATE CHAMPIONSHIP. And they delivered! The Chiefs won the New York State Championship Sunday morning beating Quickstrike 3-1 at the final in Lagrangeville. "After our performance against Manhattan, we wanted to finish what we started and take home the first New York State Championship for the club," commented Head Coach and EFC Coaching Director, Beau Morki. "The boys deserve all of the credit, they outplayed Quickstrike in every moment of the game, and proved to be the better team. They were determined and deserved to be rewarded for their efforts." The Chiefs led the game 2-1 at halftime. The field was slick and it was an extremely aggressive match. The goals were scored by Joseph Iraola and two by Junior Cordeiro. 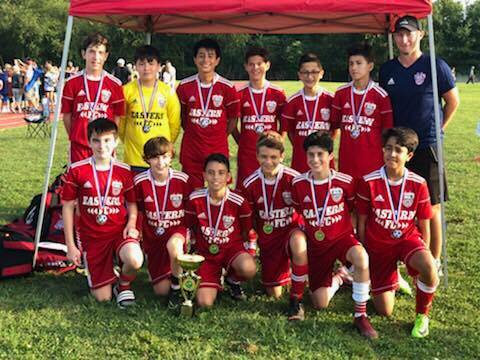 Junior Cordeiro, a six year member at Eastern FC stated, "We couldn't have done it without each other, the coaches at Eastern, and it means so much to me to get this championship for my club!" The Chiefs are quite an inspirational story. Last year they battled a tough schedule, ending third in the Northeast Regional Premier League, and lost in the State Cup Quarterfinals. This year they had already lost to Quickstrike in the semi Ãƒƒƒƒƒƒƒƒƒƒƒƒƒƒ¢Ãƒƒƒƒƒƒƒƒƒƒƒƒƒ¢‚¬"finals of the Massapequa tournament. They also had tied previously in league play. This year, they have rallied back with teamwork and comraderie, currently in second place in the National Premier League, and now have won the State Championship! Eastern FC President, and Chiefs Assistant Coach, Ray Franklin stated, "It's truly a story of loyal players to the club sticking together to battle adversity, which is a great lesson for our younger players to learn. They lost several players to graduation last year, did not win their league, but were consistent in training and worked hard through the ups and downs to find success. To graduate from the club on this note is what they deserve for their hard work and loyalty! We applaud their efforts!" The Chiefs graduate this year from the club, and every player will be going to college next year! In addition, those that have the desire to play at the college level will be. Below is a list of some of the players from the Chiefs and the schools they will be attending next fall. A list of the remaining players will be updated on our site once confirmed. David Kalaj: Manhattan College, Mateo Valedvioso: Siena College, Nick OlivieraL SUNY Delhi, Jack Passidomo: Manhattanville College, Steven Ferebee: Tulane, Nick Deambrosio: UVM, Matt Minniter: Mt. Saint Mary College, Aidan Tansey: St. Thomas Aquinas, JD Schneider: Keene State College, Joseph Iraola: American University, Jacob Blueglass: Keene State College, Andres Soto: Columbia University, and more to follow. Congratulations to you all!